Having a bit of a clearout as it appears I have more stuff than space in my home. These are a nice pairing of gearbox and brushless motor (300kv 1.2kw IIRC I think we used to run it on 5S) that while old are still good. 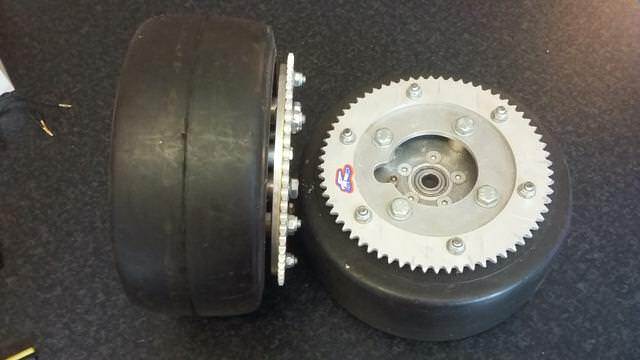 The gearboxes alone are in great condition and could be swapped to another more modern motor. Weight of ~825g per gearbox + motor. 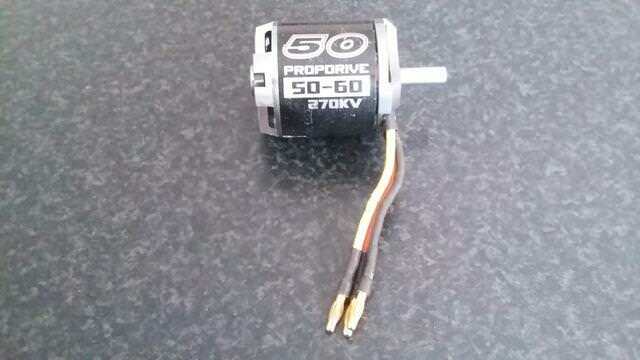 - One motor has had its sensors removed due to them not working, the other still has them but their status is unknown. Either 3 1/2" x 1 1/4" or 4" x 1/4". The nylon insert on one 4" Colson is not new after pressing a 3/8" UNF brake fitting in (no longer there). This motor is actually unused but is fairly scratched from living in a toolbox for a couple of years. A 270kv V1 50-60. Handy spare if you're bot runs the V1's as the V2's do not have compatible mounts. 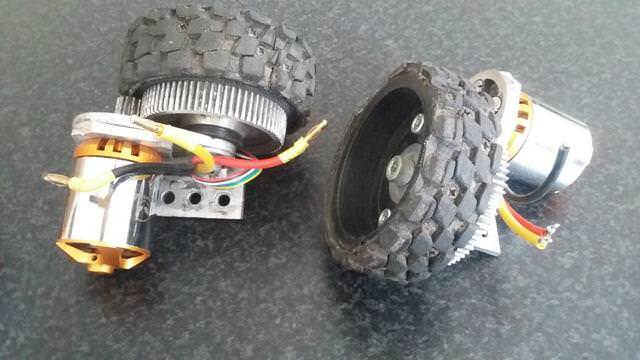 A DYS 1806 that was briefly used to test a beetle brushless conversion, shuffled it back to antweight mode. The right motor is a Multistar Vortex Elite, I'd specced it to take over from the redcon 2204 but ended up on a different motor. Still seems like it would be very capable. 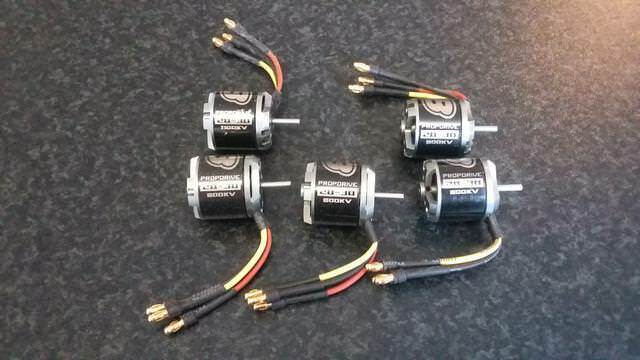 All unused V1 Propdrive 28-30 motors. 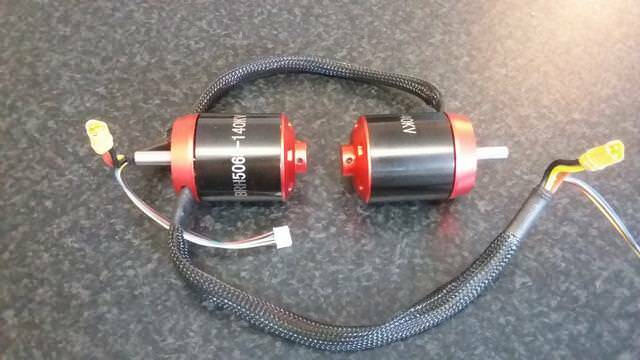 4x 800kv and 1x 1100kv. 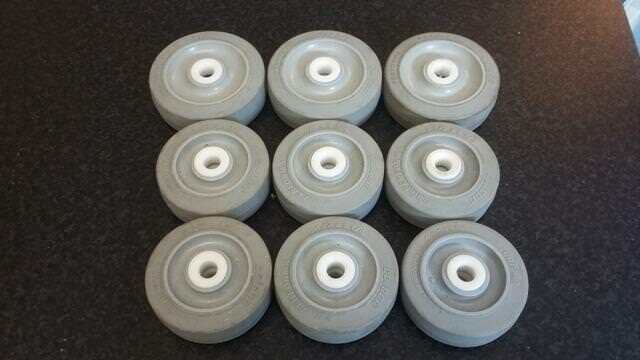 These go kart wheels have a custom hub with bolted on sprockets. I think they are 3/8" chain, designed for a 12mm axle. Posted medium parcel at a cost of £15. Heavily used but still serviceable, all with screwed on bike tread. Should fit standard drills (Argos simple value etc.). 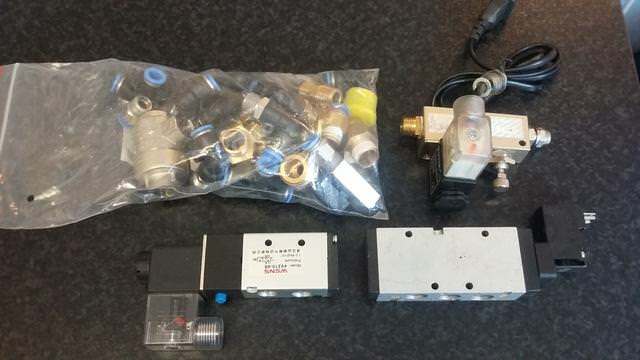 Box of assorted LP pneumatic things including 2 5 port valves and a bunch of fittings. An assorted box of dewalt stuff. 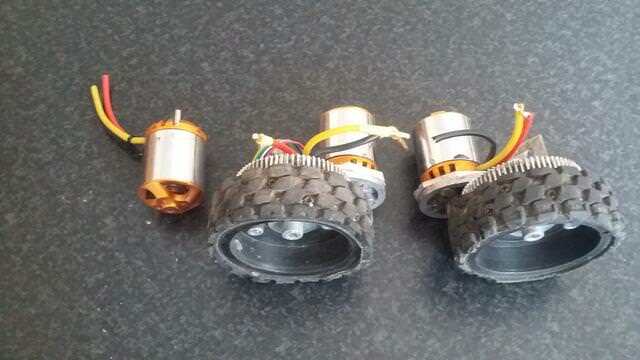 2 motors (one with a dead end bearing) and a bunch of gearbox bits. 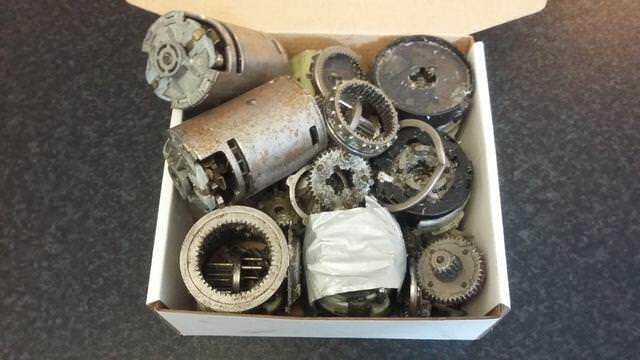 No guarantee how many useful gearboxes can be made from the mess of parts in the box. All things to be posted Small Parcel £5 unless otherwise stated. Last edited by Shakey; 23rd July 2018 at 22:44. Been busy! 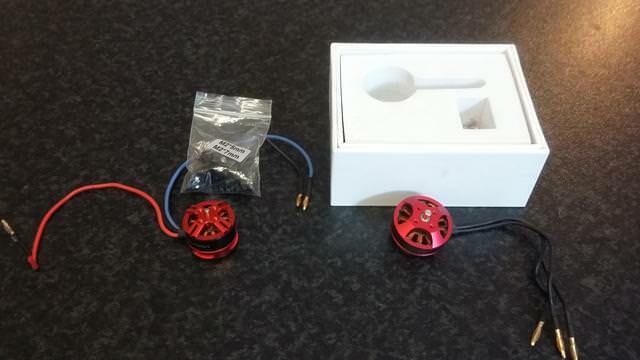 Still got the brushless pods, the propdrives, colsons and antweight spinner motors left.